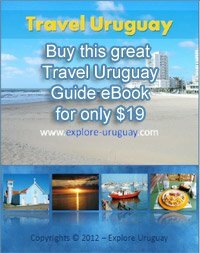 Are you looking for some Uruguay Travel Tips? Of course you are. After all, that's why you're here right? Ok... I have a bunch of Uruguay travel tips to share with you. These are some of the tips that I picked up while travelling in Uruguay, talking to the people of Uruguay and experiencing the culture of Uruguay. Don't bother getting up before Noon. Seriously, not only are you on vacation, but since people in Uruguay party until after the sun comes up, generally speaking nothing goes on before noon. Food and Water; Save money on your food budget by shopping at Super Marcado's. They offer plenty of delicous, prepared foods including chicken, meats pasta's and more. I spent approximately $5.00 a day and ate like a king! Water is sometimes as expensive as beer, or beer is often as cheap as water in Uruguay. Prices for items in Uruguay vary greatly. It pays to shop around. I dont mean to drive all over the cities of Uruguay, looking for save a few cents. Prices can vary greatly from store to store even if they are right next to each other. CASH is KING You will get the best deals if you are carrying US dollars. Prices can easily be negotiated when a Uruguayan shop owner knows you are dealing with US dollars. As well, you arent expected to tip Taxi drivers, however I did. It pays to know someone who knows the city, and who knows the city better than a taxi driver? Hotels in Uruguay Laundry services; I was shocked to find out that by sending my laundry away through my hotel, that the cost worked out to $38USD which was as much as the actual hotel room itself. Check with the Concierge before you send your laundry away or you might be in for a costly surprise. Restaurants; Make your dinner reservation for after 11PM. Thats right. This country in South America generally starts to come alive in the early morning hours. If you were to make dinner reservations earlier, either the restaurant would be closed or no one would be having dinner there. I bet you didnt know that the average restaurant in Uruguay will add a surcharge to your bill for eating there. Thats right! Im serious. On average you will be looking at one to two dollars for sitting in their restaurant, using their cutlery and drinking out of their glasses. Tips and Gratuities aren't usually included in your food bill. I was told that he average tip should be about ten percent of the food bill. Here's my tip - Give them a little more, as the amount to you and I is probably insignifigant but to the people who work in Uruguay, its alot. You will make a local friend which will save you plenty of money and time when trying to figure out local customs, as well as finding reasonably priced accomodations in Uruguay and special deals. Learn some Spanish before you go - English is not as common in Uruguay as you might think. The people of Uruguay are however very gracious and most will patiently try to explain things to you in Spanish or take the time to try and understand your English. I decided while in Uruguay that I needed to know Spanish prior to visiting again in November 2010. In hindsight this is probably the most important Uruguay Travel Tip I can share with you. Take the time to meet the people of Uruguay. Have a coffee or better yet, share a Mate and talk to people of Uruguay. After all if you want to explore Uruguay, the best way is hang out with the average, everyday Uruguayan. Ask them where they eat, shop and party! You will have a blast and save a bundle. Do you have any Uruguay Travel Tips that you can share with our readers? We would love it if you decided to Write for explore Urugay. Do you have Travel Tips about Uruguay that you can share with our readers? We would love it if you shared them. Purchase Manos del Uruguay Yarn in Montevideo?